Anaerobic digestion proves to be a beneficial technology in various spheres. Biogas produced is a green replacement of unprocessed fuels (like fuel wood, dung cakes, crop residues). It is a cost effective replacement for dung cakes and conventional domestic fuels like LPG or kerosene. Biogas technology has the potential to meet the energy requirements in rural areas, and also counter the effects of reckless burning of biomass resources. Further, being relatively-clean cooking fuel; biogas reduces the health risks associated with conventional chulhas. Thinking regionally, decreased residue burning brings down the seasonal high pollutant levels in air, ensuring a better environmental quality. Anaerobic digestion thus proves to be more efficient in utilization of crop residues. The social benefits associated with biomethanation, along with its capacity to generate income for the rural households make it a viable alternative for conventional methods. The federal and stage governments needs to be more proactive in providing easy access to these technologies to the poor farmers. The policies and support of the government are decisive in persuading the farmers to adopt such technologies and to make a transition from wasteful traditional approaches to efficient resource utilization. 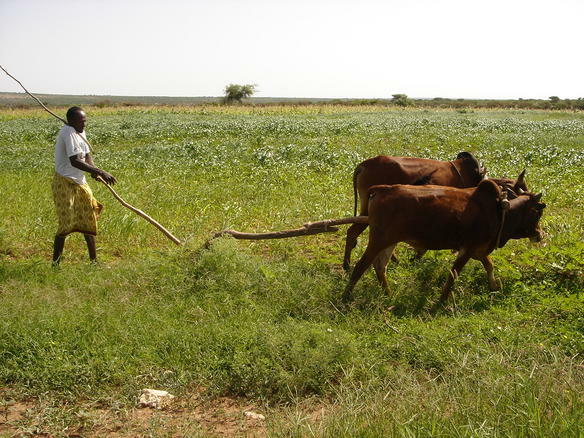 The farmers are largely unaware of the possible ways in which farm and cattle wastes could be efficiently utilised. The government agencies and NGOs are major stakeholders in creating awareness in this respect. Tagged Anaerobic digestion, Biogas for Rural Areas, Biogas in Developing Countries, Biogas in India, Biomass, Farm Waste, Farm Waste Disposal, Farm Waste Management, Farm wastes, Health, Ritika Tewari, Rural Development, Slurry. Bookmark the permalink.